With everything digital nowadays, photos have also become something we look at from our screens. The old soul in me always wanted prints to look at, at least a selected few to remind of life, travel, love and how everyday is indeed a blessing to be thankful to God for. These cutie photos ala instagram-inspired are little (literally and figuratively!) tokens for friends we made here in Singapore. We'll always be grateful to have met awesome people here, making staying overseas and being away from home much bearable and fun. 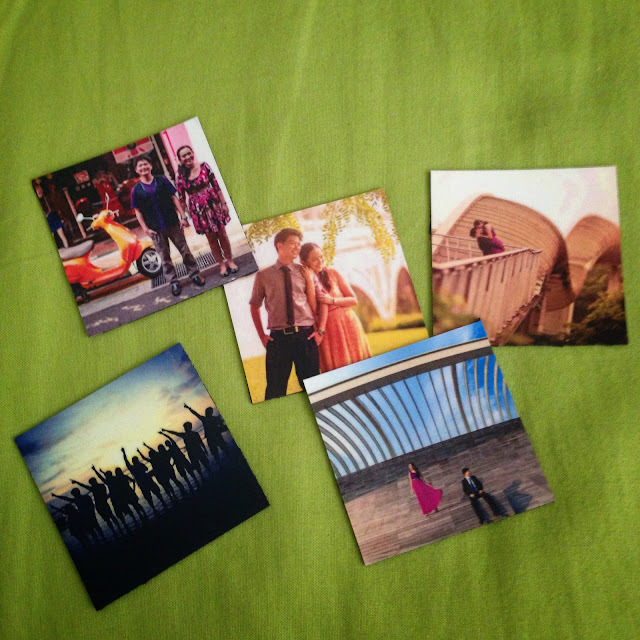 Square 2x2 magnetic photos printed from PixaRoll.